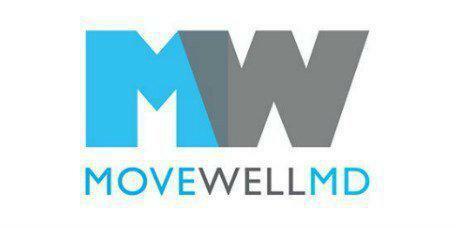 The philosophy at Move Well MD in lower Manhattan, New York, and New York’s Financial District, is to provide the most comprehensive care by combining traditional and eastern medicine to help reduce pain and get you closer to your health goals. As an extensively researched form of alternative medicine, acupuncture perfectly serves this philosophy. If you’re looking for an alternative treatment to help manage pain, call the office or use our online booking feature to schedule an appointment with the acupuncturist. Acupuncture is a form of Traditional Chinese Medicine, or TCM, that has been in practice for more than 3,000 years. The philosophy behind TCM is to maintain balance between the opposing forces yin and yang to keep the energy in the body flowing, which is believed to be the key behind good health. According to TCM, a block in the flow of energy, which disrupts the balance, leads to pain, illness, and poor functioning. Acupuncture is used to help restore the flow and get you back to good health through stimulation of specific acupoints. Before you begin treatment, the acupuncturist at Move Well MD takes your health history and completes an eastern-medicine inspired physical exam, paying close attention to the color, shape, and coating on your tongue. After the examination, you’ll lie back on the exam table, and the acupuncturist will place tiny needles at various acupoints on your body. After the needles are placed, you’ll continue to lie on the table anywhere from 5 minutes to 30 minutes, depending on the need and the desired outcome of the treatment. Pain may be the reason you want to see the acupuncturist, but you may feel leery about having your skin poked with tiny needles. Acupuncture doesn’t hurt. As skilled professionals, the acupuncturists at Move Well MD know exactly where and how to place the acupuncture needles so you don’t feel any pain. Most people report feeling more relaxed during and after treatment. Acupuncture is used as an alternative form of treatment for a number of conditions. But, it’s been scientifically proven to help alleviate tension and migraine headaches, back and neck pain, and pain caused by osteoarthritis. Acupuncture is a very safe alternative form of medicine, especially when performed by the trained professionals at Move Well MD. Our needles are clean and properly sterilized. If you’ve been looking for an alternative treatment to help you get your pain under control, and want more information about how acupuncture can help, call Move Well MD or a book an appointment online. We are just a few short path train stops away from Hoboken, NJ and Jersey City, NJ.